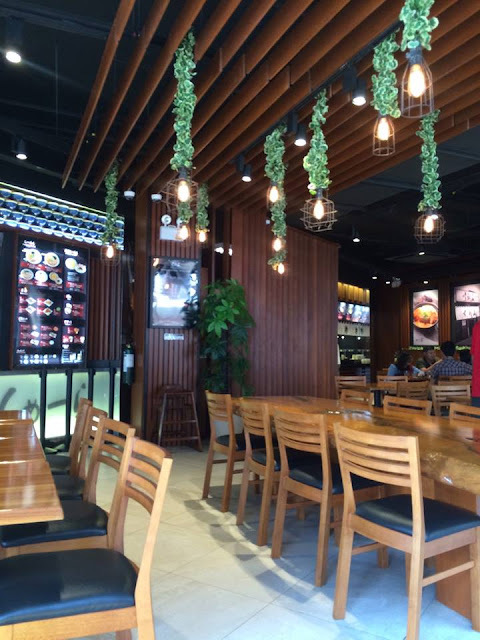 Located at the 2nd floor of Ayala Mall Serin at the heart of Tagaytay City, Hokkaido Ramen Santouka brings you a hint of what Ramen tastes like in Japan's North. Santouka offers different kinds of Ramen depending on which taste your buds are craving for. 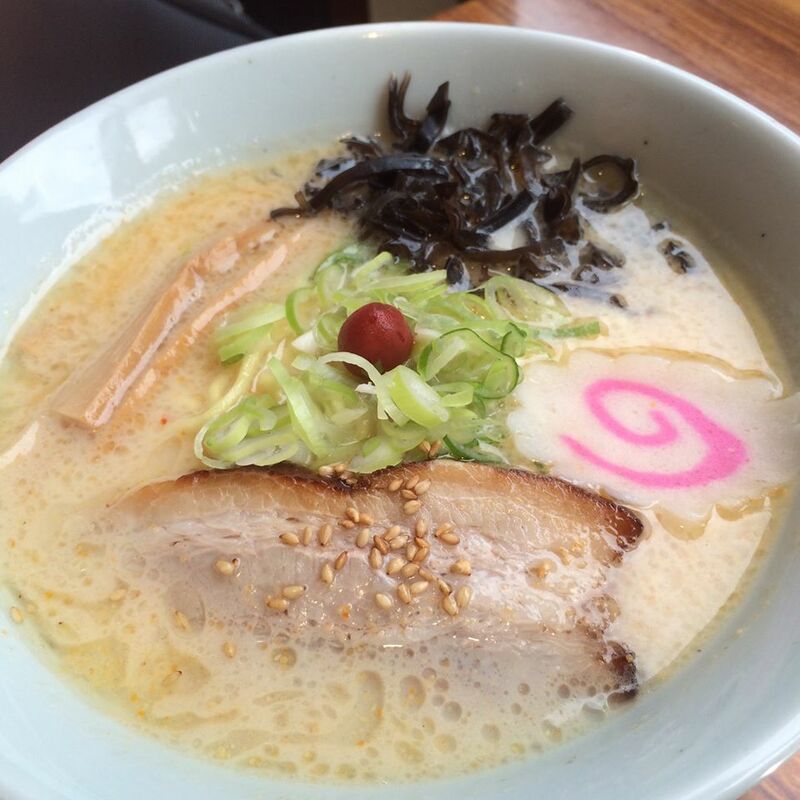 Ramen is a traditional Japanese soup dish which is usually made up of wheat flour noodles and served over broth usually from beef or fish. 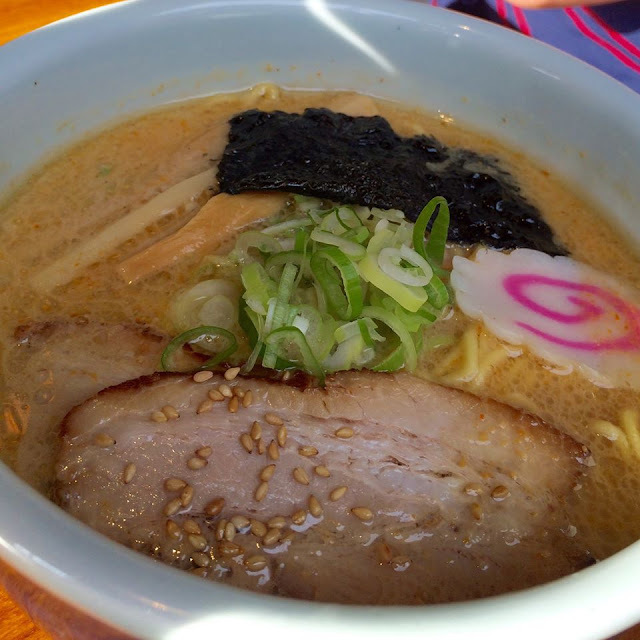 Flavored often with either soy sauce or miso or sometimes both, ramen is topped with ingredients such as dried seaweed, bamboo shoots, and sliced pork. 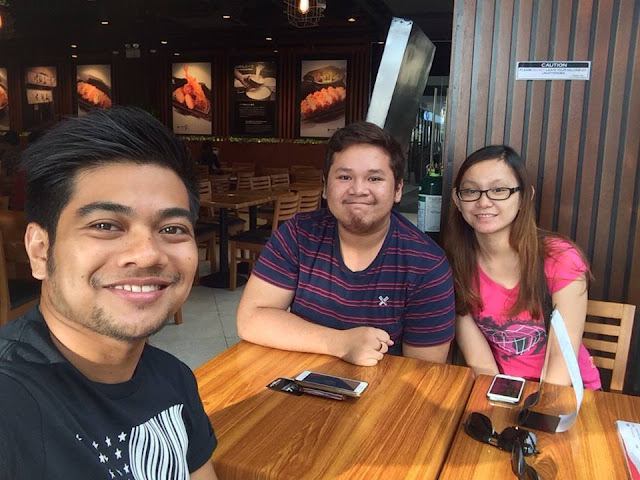 We decided to spend our Sunday afternoon at Tagaytay, Me, my cousin Judy, and my best friend RJay. We stopped by the Lourdes Church and then went to Ayala Mall Serin which was just a block away from the Church. We all felt really hungry as we walked around and then we saw Hokkaido Ramen Santouka just above the West Entrance. We ordered three kinds of ramen, one of each for the three of us, together with a side of gyoza. Their Gyoza (Php 165) which is three small pieces per order is a little bit tiny for the price but it does taste good. The consistency of their flour shell is gummy and just the way I like it. A few more minutes and the main cast arrived on our tabletops. I ordered myself a bowl of Shoyu Ramen, my cousin a bowl of Shio Ramen and my best friend RJay a bowl of Kara Miso Ramen. Their Shio Ramen is the simplest one but when I say simple doesn't mean bland. It was clear to the palette and truly refreshing with every sip. My Shoyu Ramen was almost the same with their Shio but as I and RJay simply assessed it, we decided that a word can describe it's difference from the later, depth. 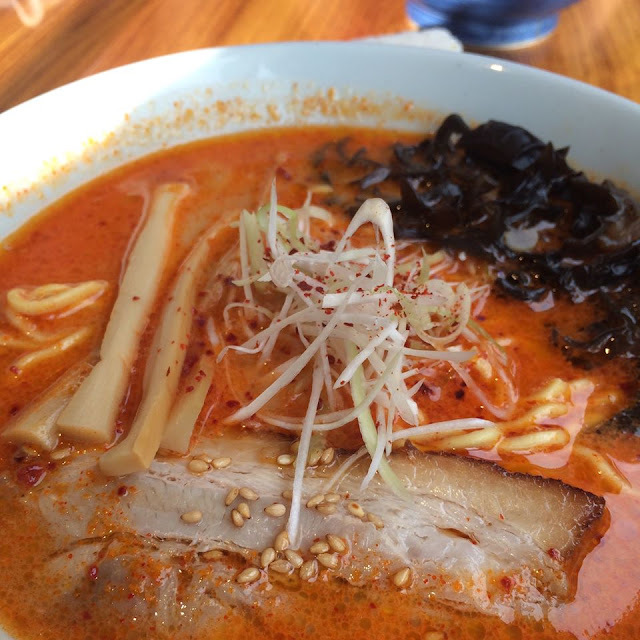 And last was RJay's Kara Miso Ramen. It was spicy but not overpowering, well for me at least because I love spicy food. You can definitely taste the miso even if the spiciness is truly present on this dish. 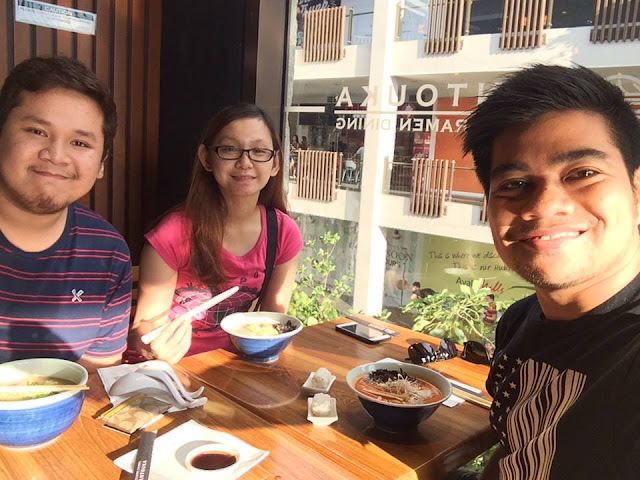 We had a great dining experience at Hokkaido Ramen Santouka in Ayala Mall Serin, Tagaytay City. 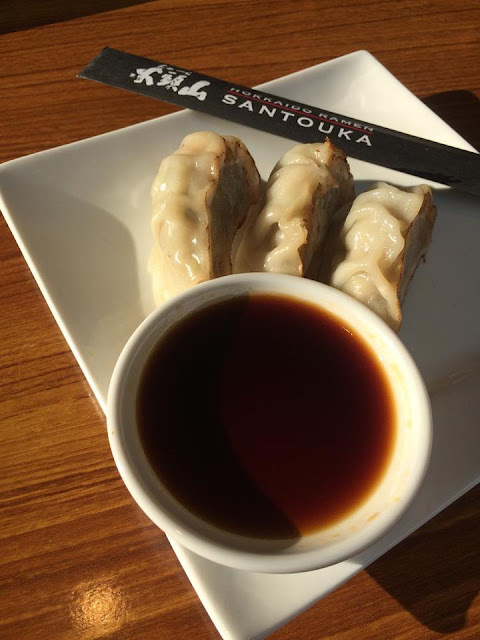 I had real and authentic ramen when I was in Nagoya, Japan last 2013 but if I can't fly back, I guess Santouka is a great way to quench my thirst for some deep and rich ramen broth. Every meal can never be as good, no matter with the most expensive seasonings and ingredients, as to having it with your best friends and family! Bring your barkada now and drive up to Tagaytay at Hokkaido Ramen Santouka and experience their ramen goodness.